Except, the beaches, the natural, amazing seafood and numerous markets. Phuket island still have one more thing of tourist attraction which you don’t miss. It is a Buddhist Temples,There are many Buddhist temples in Phuket island. 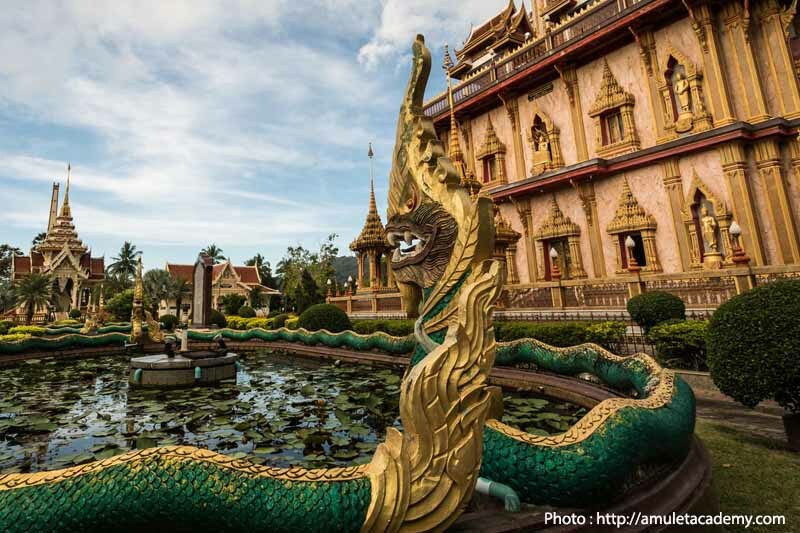 We would like to ensure you get to experience the famous and well – known temples in Phuket. 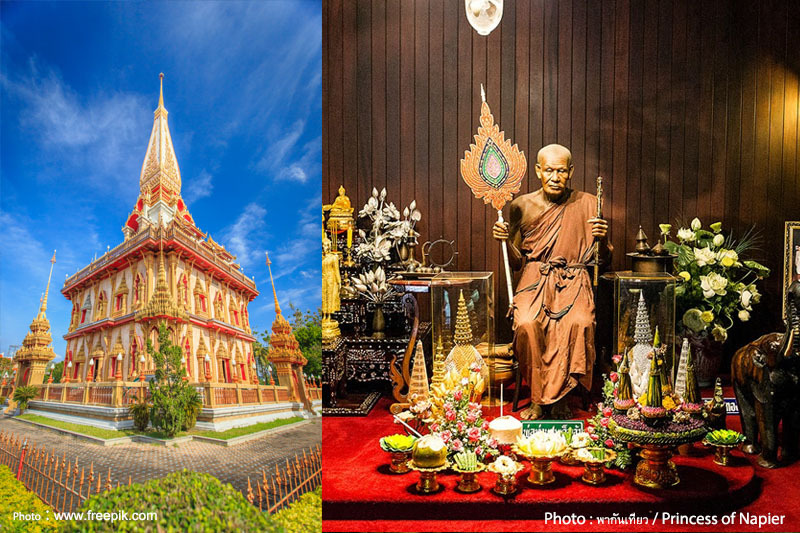 So which temples should you visit in Phuket. 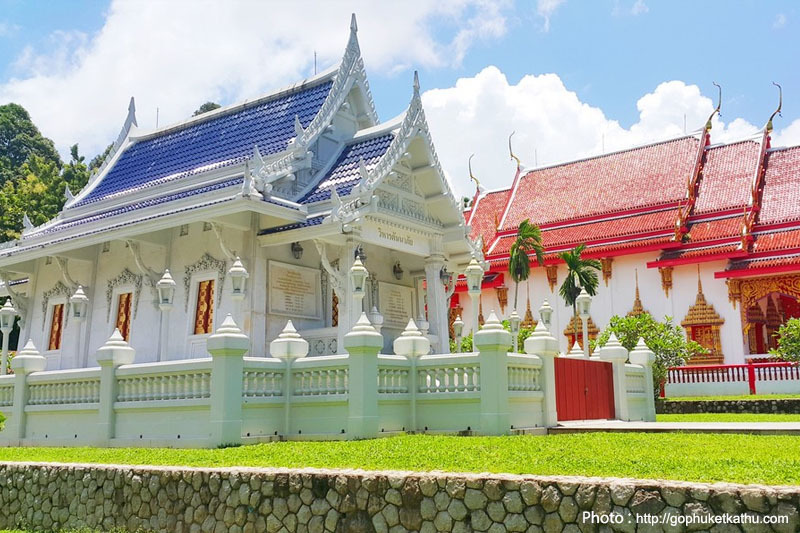 Read on for 5 temples in Phuket island you have to visit. 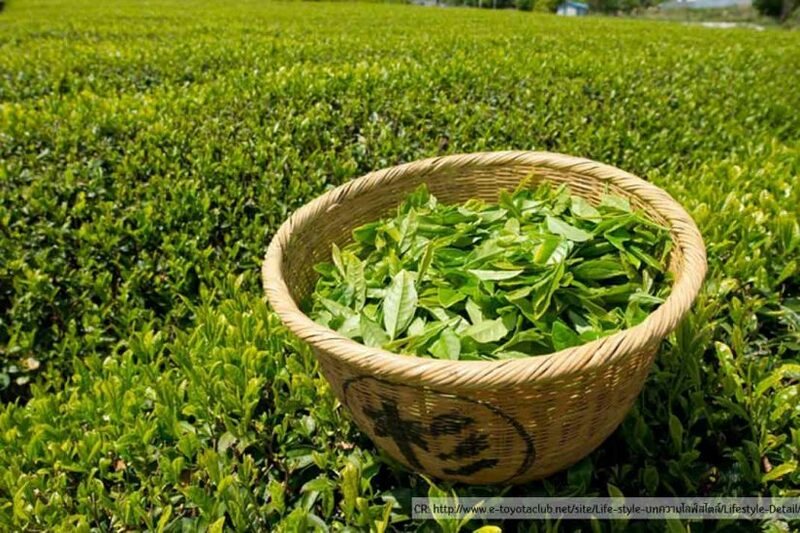 Chaithararam or Wat Chalong is the most well-known and revered in Phuket. The Several stories with Luang Poo Cham, who has healing powers. There are Phra BoromSareerikatat (a fragment of a bone of the Buddha. ) is kept on top of Phra Mahathat Chedi . 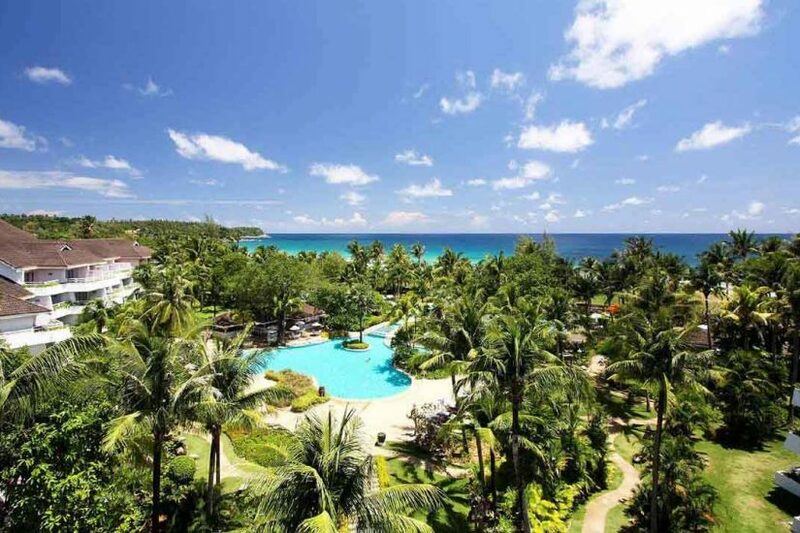 Far away from Phuket town around 10 kilometers. You can get the temple by taxi or tuk-tuk or you can ask half or one day city tour from tour desk at your hotel which almost include Wat Chalong in the promgram. Wat Chalong open daily from 7 am until 5 pm. Admission is free. Kindly note that on the weekend or Thai public holiday , The temple is very busy. 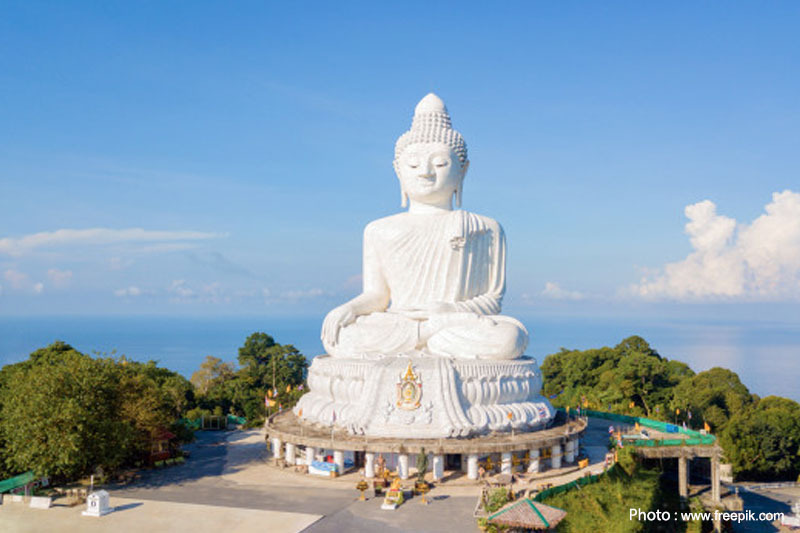 It is the biggest Buddha in southern Thailand and it is a must see if you are in Phuket. Big Buddha enshrined at the top of Nakkerd hill, Karon,Phuket. Phuket Giant Buddha or Big Buddha Temple and in the formal name is Puttamingmongkol Akenakkiri . It will be 45 meters tall. Decorated with white marble from Burmese about 135 tons .The views from the top of the mountain are the best one of the island. The viewpoints you can see Chalong bay and all the way to Phuket town.if the weather is clear, then you might see Phang Nga Bay. There’s stunning views of Kata Bay and Kata Noi Bay and Promthep Cape, and Rawai can even be glimpsed. Here also is the one of best place to see the sunset view. Opening from 08:00 – 19.00 hrs. 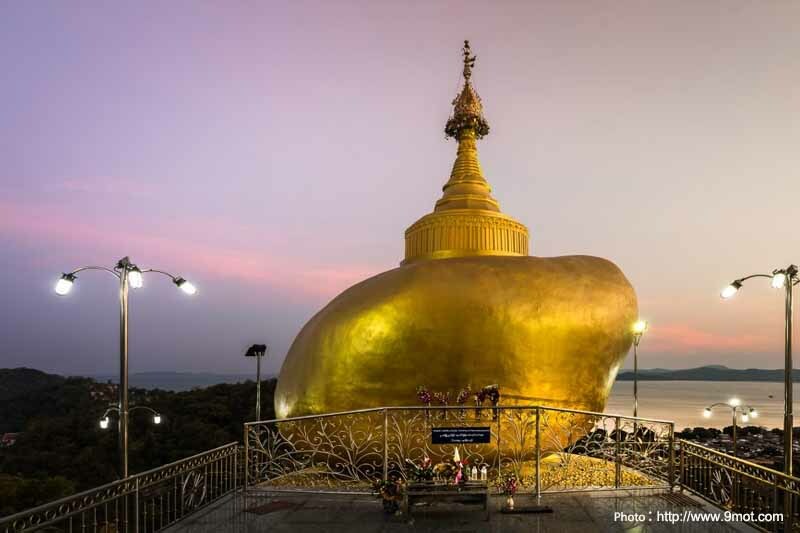 You can get the temple by taxi or tuk-tuk or you can ask half or one day city tour from tour desk at your hotel which almost include Big Buddha in the program. Kindly note that about dress conservatively to be there. 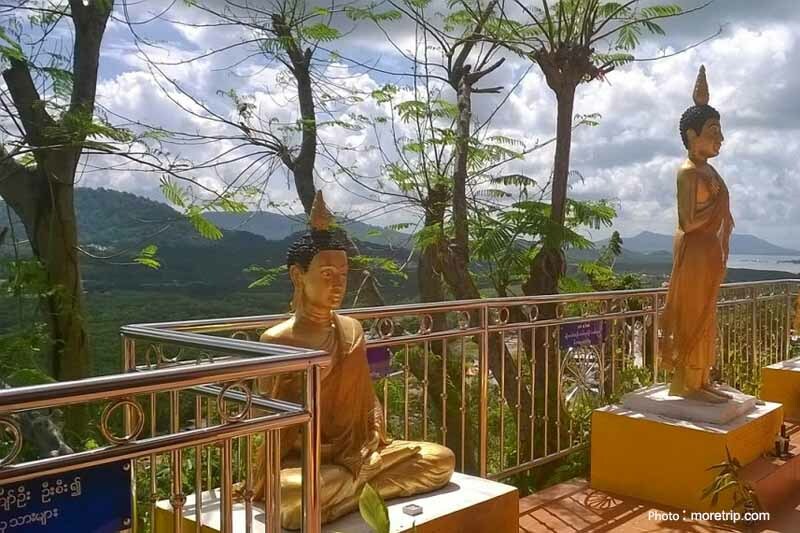 Aside from the temples in Kathu, there is a daily market in Kathu and you can also visit Kathu waterfall and the Phuket Tin Mining Museam is only a 2- 3 kilometers away from the temple too. Wat Phra Thong or Wat Phra Phud. It is the ancient temple in Phuket. Wat Phra Thong located in northern of Phuket island , nearby Thep Krasattree road and far from Phuket International Airport around 10 kilometers. Wat Phra Thong is the main attraction is the half-buried golden Buddha image. 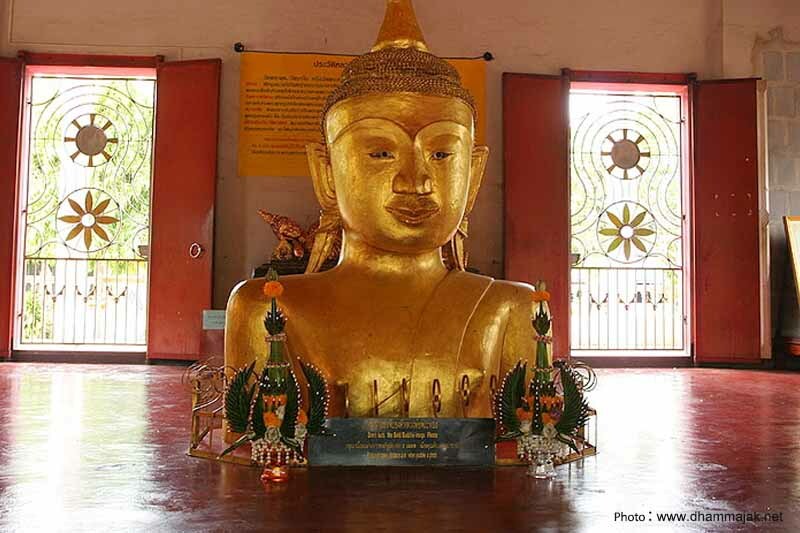 In the temple also have collection of ancient artifacts which belonging of the people of Phuketian. You can get Wat Pra Thong by car or local shuttle bus. Koh Sirey is a small island in a southern east of Phuket island. There many fisherman. Wat Koh Sirey located on the hill top of Sirey island with a beautiful and panoramic view and far from Phuket Town around 4 kilometers. Buddha images enshrined along the entrance and the big buddhist image reclining and Phra That Inn, the big golden stone with a 5.5 meters.